Don't get me wrong, we have failed by letting students lead but when we empower students to lead it tends to turn out better! A junior in high school: organized this dance, got the team together to learn the dance, had the team there on time to run through the dance and they preformed it as an opener to our ministry night. I love empowering students to lead! Honestly the only thing I did for the dance was ask her to lead it and then check in with her, weekly, before the dance. We currently have an amazing student leadership team in our high school ministry and on that team we have a young lady who loves to dance! Now, not only does she love to dance she is really good at dancing. A few months ago I asked her if she could choreograph a dance to open up our ministry night and she killed it! We decided to do it again and this time we filmed it (Watch it here). There is some huge buy in when you empower students to lead. For this particular instance we had a few students involved who may not have found another way to get involved in the weekly program (other than inviting a friend). This gave them a cool way to invite their friends to watch them dance/sing. I love it when we get more students involved and help them to have more investment in the ministry. How are you empowering students to lead? This weekend we took a trip down to Town Square. The plan was that Charity and Leah would go to Old Navy and exchange some clothes for the girls while Sophie and I went to the Apple Store. 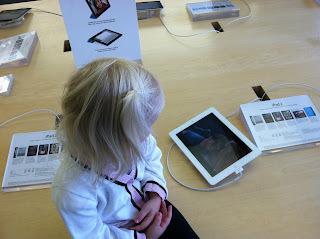 Sophie and I wanted to get our hands on the Apple iPad 2 and see what it had to offer. When I first saw the iPad 2 I was very impressed with it! I was one of the people who watched the live blog on CNET about it and then the first day it released I called my apple rep and bought one... The tough thing about that is that I bought at 3pm and have to wait 2-3 weeks for it to ship. So while Sophie and I were there we decided to check it out. Sophie got more hands on time with the iPad than I did but it was cool to see her playing with it. I was watching her interact with it and it amazed me at how comfortable she was with it. It seemed like she instinctively knew that she could open certain games and then she would play them. It seems that I have been traveling a bit more lately; especially this year. I would love to travel a bit lighter and have not have to bring my Macbook along with me. The iPad is going to make that happen. I can travel and have access to the internet, type out notes, and Face Time with the girls. We have a family trip coming up in May. I envision this trip us not taking a laptop. We will take the iPad and be able to watch movies on the plane (I love the 10 hour battery life). We will have access the to internet, be able to take pictures and just have some fun with the iPad in downtime. Sophie can practice letters, numbers and play her matching game. Now I know this could sound weird but I see the iPad helping me in ministry. I plan on getting to a place where I teach from the iPad. 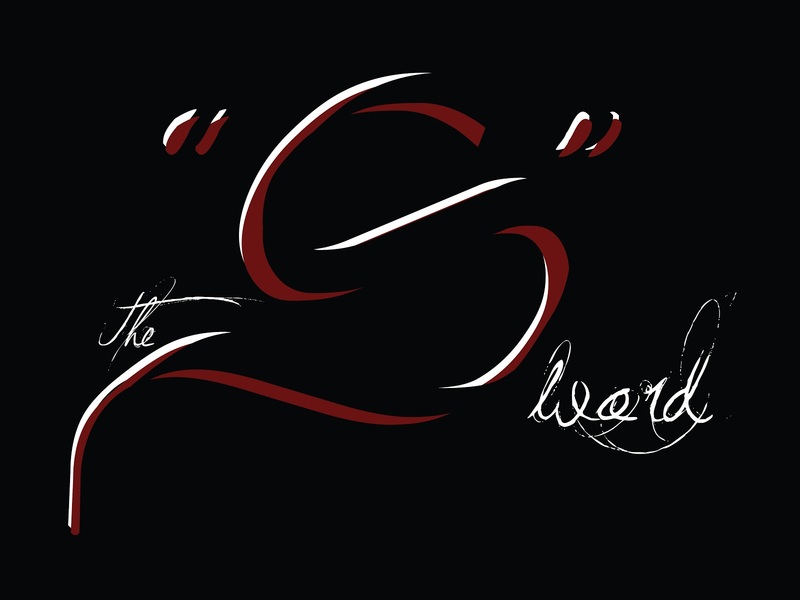 Its going to save me paper (I manuscript all my messages) and my Bible software has an app! I plan on using it in small group to look up questions that come up. I plan on using it in meetings where I can just have something to take notes, be online or show a quick video that we may be looking for. I'm really excited for my iPad to arrive at my house and see if what I think I will use it for is really what we will use it for! I don't really remember loving to read when I was a child; I don't really love to read right now but I know that reading helps me grow and learn. The other afternoon Charity was out and I put Leah in Sophie's bed to hang out for a minute. Sophie started reading to Leah and it was too cute to pass up! I'm so thankful that our girls get along so well right now! This year is a first for me in small groups. For most of my life leading small groups I have been the sole leader of the group. The burden has fallen on me to make the contacts, plan the events, choose the curriculum, line up the house, meet with the guys, pray for the guys and much more. This year though I decided to change that and let me share what brought about that change. See one year ago our second daughter was born. I took some time off when Leah Joy was born and that meant that my small group wasn't going to meet during that time. After that month off it just hit me that there has to be a better way to do this. I thought about it, prayed about it and talked with other high school pastors about it. All those conversations lead to the current plan we have for our small group setting now; Our Small Group. I just got home from our small group. 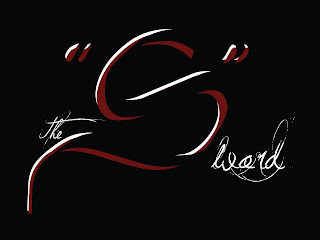 Another leader and I are teaming up this semester to lead our small group and its going great! He is the freshman leader and I am the sophomore leader but its our small group. We all meet together in one house. We eat dinner together then jump on the couch, or sit on the floor, and open the Bible together. 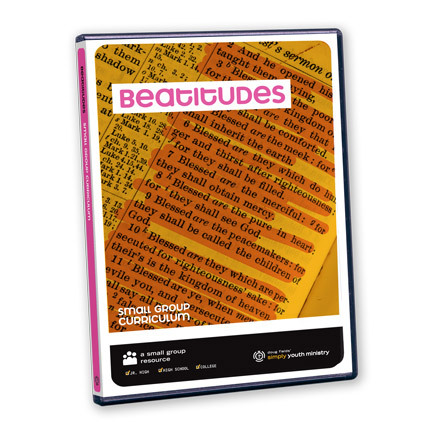 Right now we are studying the Beatitudes, a small group study from Simply Youth Ministry. We meet together as a group and its really cool to see all the guys connect and interact with each other. I love seeing the guys open their Bibles and asking questions. I love leading with Mikey McComb and watching him teach (he definitely hit a home run tonight). Then after the study we break into smaller groups (freshman and sophomore) where we pray for each other and give guys a chance to confess any sins they are struggling with. If you are leading a group on your own I am more convinced now that it is a good idea for you to find someone to share that experience with. The other day I was having lunch with a friend, and ministry partner, here in Vegas. As we were talking he brought up a principle that I have neglected thinking about recently. As we were talking my friend reminded me to live like a banker. I was confused for a minute and then the flashes in my mind became reality. I became convicted because recently I have forgotten to live out a principle that I had done fairly well earlier in life (now at this point I could give you the list of my failures and reasons for not applying it but that is not the point of this post). The point of this post is to talk about living like a banker. See in every relationship we have a "bank account" with that person. Now when you first start the relationship there is little room for withdrawals and most of the interactions, if you want to keep the relationship healthy, need to be deposits. Deposits are normally in the form of; encouragement, gifts, acts of service or affirmation (but are not limited to these areas). Maybe you have helped the person out when they got a flat tire and this got you a huge deposit in the account; think of things like this. As time goes on and your bank account with that person increases you can now make withdrawals in that relationship. Withdrawals can come in the form of asking for help when you find yourself in a tough spot. They can be talking to the person about a difficult subject where you see the person could grow. A withdrawal could be calling the person out when they have blatant sin in their life and no one else has the guts to tell them. Withdrawals come in many forms. There are some relationships you have in life that are constantly close to empty because the exchange is constant. There are some relationships that you have that are thriving because you both make deposits into the others life and if there happens to be a withdrawals here or there it is not detrimental to the relationship. There are some relationships we tolerate in life just because we work with the person, see them regularly or have to interact. There are some relationships in life where you had to close the account because there is nothing left to keep the relationship going. What is going on in your relational banking right now? Do you have some accounts that you have neglected that need to get a deposit in them immediately so you can keep it open? Do you have some accounts that are overdrawn and you need to ask for forgiveness because you have not managed the account well? Do you have some accounts where you have the freedom to make a withdrawal that will help the other person? Are you living life like a banker right now or just a person who is only thinking about their personal needs and gain? Today is Friday and for the most part that means family day (besides the homework I am taking a break from right now). Last month, February, was crazy for my family. I was out of town for almost half the month and that means that I have been missing my family. Today I tried to get us back in the swing of what the "normal" in our life used to be. Early this morning Sophie and I got up and went to Krispy Kreeme where we had our fill of doughnuts and hot chocolate. Getting doughnuts has been a cool way for Sophie and I to connect and get some one on one time with each other. Charity puts Leah down for a nap and it allows her some moments of quite in the house. This morning Sophie threw down! She didn't eat her normal doughnut but ate two! We meet a super kind Christian who got Sophie her second doughnut. After doughnuts we stopped at the store to get Charity some flowers and headed home. Once we got home we packed the girls in the car and headed out to Lake Mead to feed the ducks, fish, birds and seagulls (there are a lot of animals out there). Loving our new iPhones because I can record HD videos on them and upload it straight to youtube so you can watch Sophie sharing her bread with the ducks!